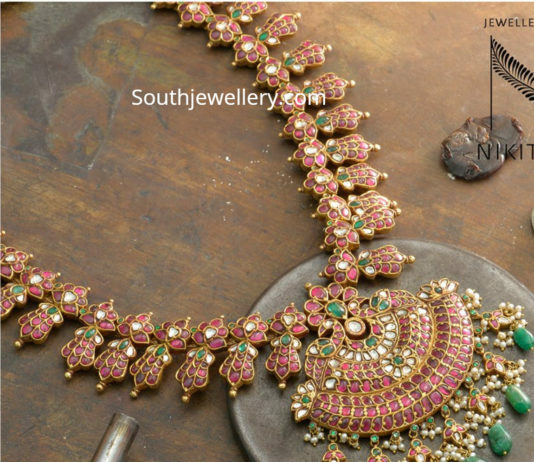 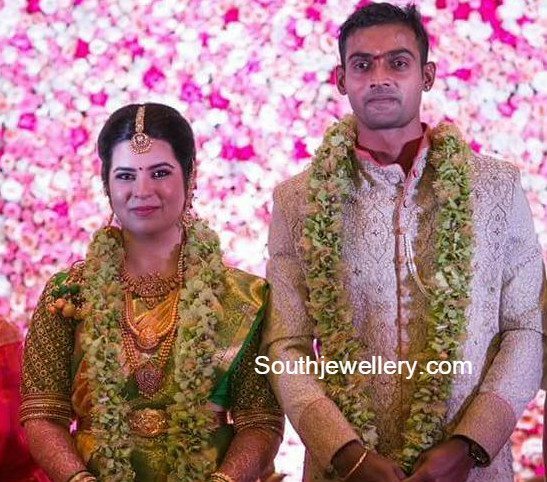 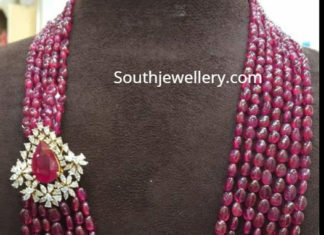 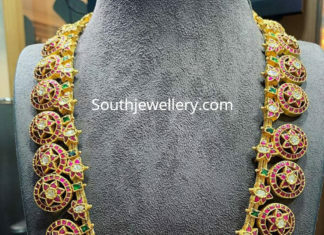 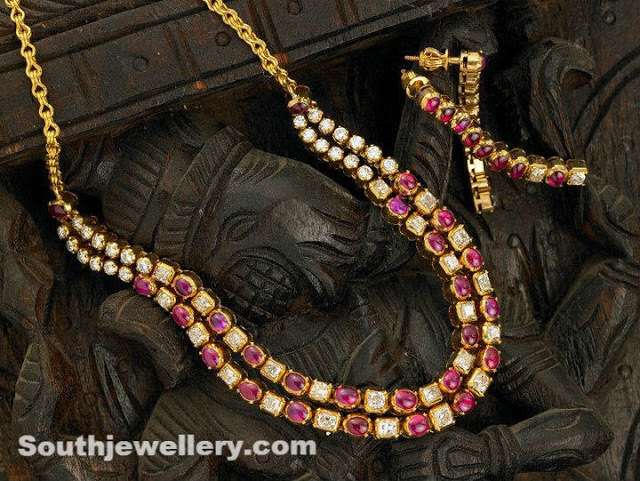 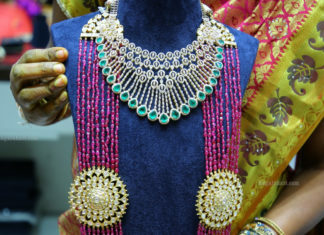 22 Carat gold antique bottu mala studded with rubies, emeralds and polki diamonds by P Satyanarayan and Sons Jewellers. 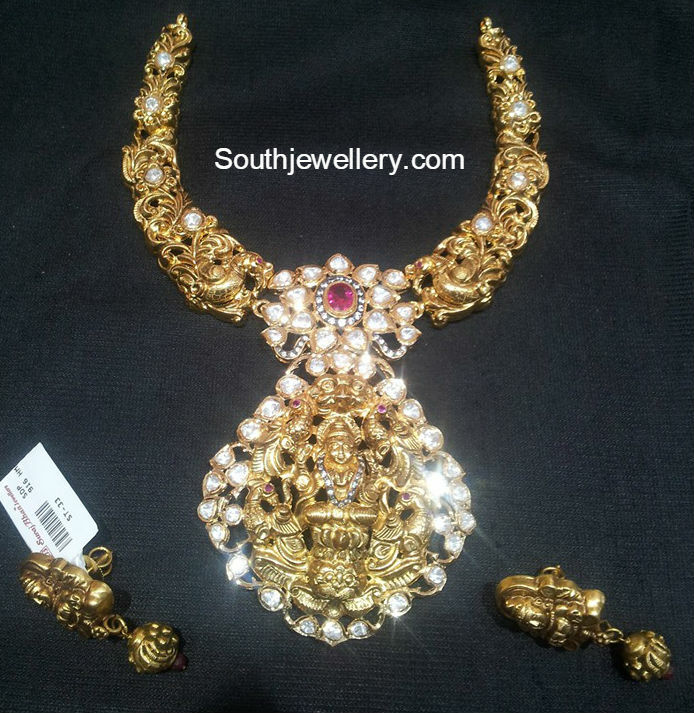 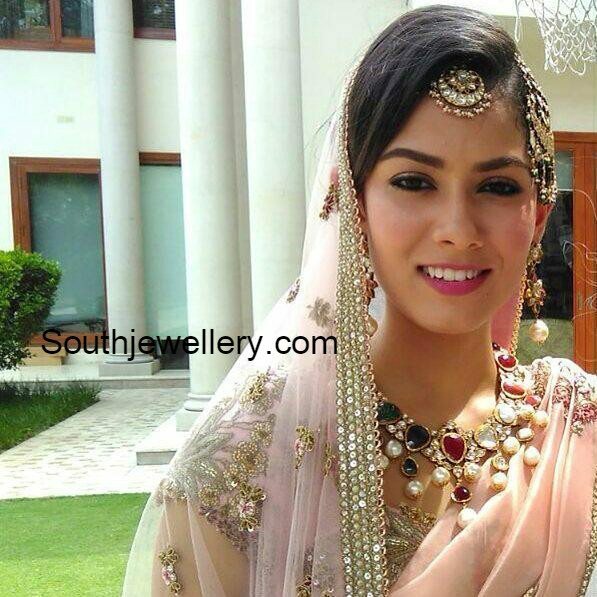 22 Carat gold two step haram studded with rubies, polki diamonds and diamonds. 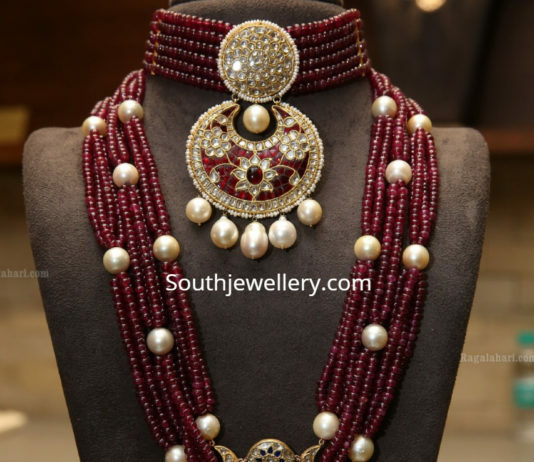 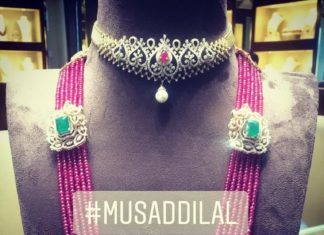 22 carat gold kundan choker and layered ruby beads mala by Kishandas & Co Jewellery.